Here Dili attempts to steal the FA Cup. How You Came to Love Arsenal: After I absorbed the soul of Stan Kroenke in 2007, I decided to look into his business interests. Here, the Matt attracts a mate by flashing his colorful head flags. How You Came to Love Arsenal: My dad's family is from Leeds, so Arsenal was a natural choice. Favorite Thing About Chicago Gooners: They give me many chances to indulge in vices throughout the year. Tommy is surprised and alarmed by newfangled technology such as phones with cameras. Favorite Arsenal Moment: That one guy scored a pretty sweet goal that one time. How You Came to Love Arsenal: I like beer. They said I could drink beers in the morning if I watched the Arsenal. Now I drink beers in the morning. 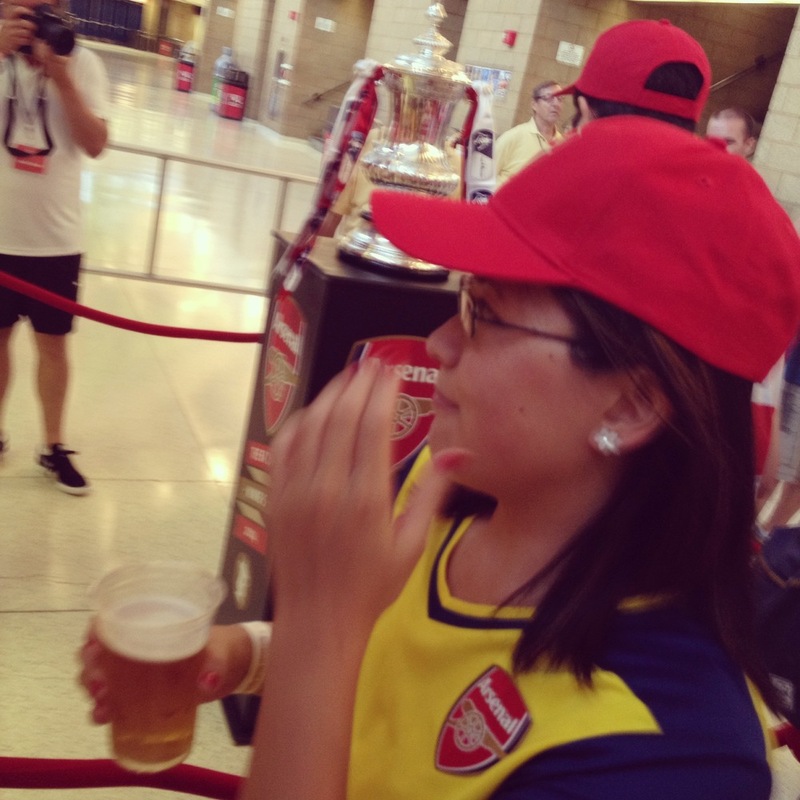 Favorite Thing About Chicago Gooners: They make my own alcoholism seem less raging. Fun Fact: Not actually a Chicago Gooners board member. Just here for the beer. Yes. Meredith is judging you now. Favorite Thing About Chicago Gooners: I'm more normal than half of them. Cale understands the forbidden love between a man and a stuffed bear. How You Came to Love Arsenal: Finally found an excuse to drink during the difficult-to-justify 6-11AM hours. Favorite Thing About Chicago Gooners: All the singing. Jim is also known for his insightful football commentary on TV. How You Came to Love Arsenal: Long story, but it was on a dare. No, Homeless Dave can't afford any more buttons. How You Came to Love Arsenal: I like the red shirts. Favorite Thing About Chicago Gooners: It's nice and warm.